There are so many things to enjoy about the dirty hornitini. First, the name is just plain fun—a play on Hornitos Tequila, the brand that created this particular recipe. Then, there is the interesting flavor of tequila combined with olive brine; it's similar to gin but different enough to be intriguing. Basically, this is a twist on both the tequini and the dirty martini and a reposado is going to be the best tequila to pair with the olive flavor. It is also wise to take it slow on the olive juice, pouring small amounts until you find the perfect pour to suit your taste. Garnish with a single olive on a cocktail pick. Originally, Hornitos suggested 1 1/2 ounces of olive juice. That is a lot of olive flavoring, especially considering the gin version typically uses just 1/4 to 1/2 ounce. Start with a smaller pour, then add more if you need to. You will likely also need to make adjustments with different tequilas. While bitters can often be optional in martinis, it is essential in this recipe. The orange bitters add a much-needed accent that marries the aged tequila and olive flavors together. The old bar debate of shaken versus stirred applies to the dirty hornitini as well. It is made primarily of liquor, so stirring would be the preferred mixing method. However, you may enjoy it shaken because the extra agitation will break up the ice more and soften the flavors. There is a difference between olive brine and olive juice, though the names are often used interchangeably. Rather than pouring the brine from a jar of olives, try this cocktail with a dedicated olive juice. 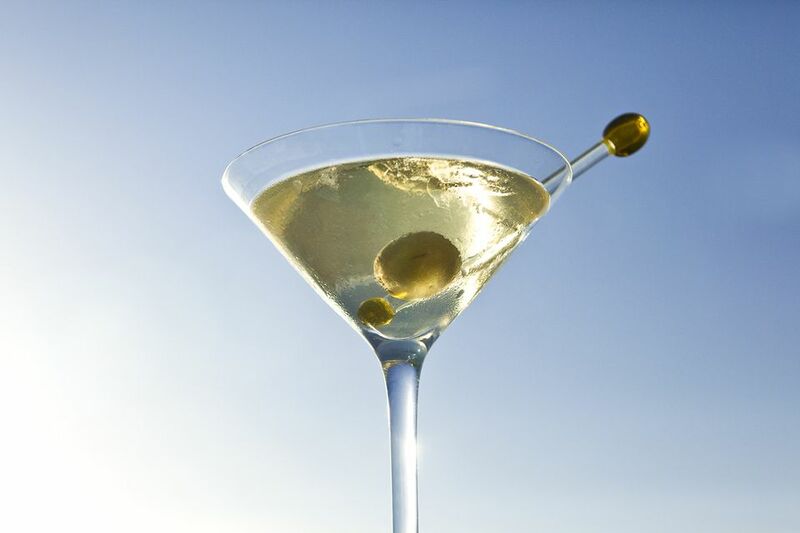 Brands such as Dirty Sue, Filthy Olive, and Stirrings make the juice specifically for dirty martinis. You can explore different types of tequila as well. The flavor of blanco (or silver) tequila may be a little too transparent for some tastes, but it's worth a try. If you go the other way, you'll find that the extra oak flavor añejo tequilas can be really nice against the olive flavor. If you really want a punch of flavor, try this cocktail with mezcal. Make sure it's a premium brand, but that extra smokiness can be very interesting in this recipe. How Strong Is a Dirty Hornitini? Like most martinis, the dirty hornitini is a pretty strong cocktail, which is why it's served at just under 4 ounces. When made with 80-proof tequila and 1/2 ounce of olive juice, you can expect its alcohol content to be around 24 percent ABV (48 proof). The olive does knock the strength down considerably; in comparison, a dry gin martini is about 62 proof.